A new fintech backed by UAB “Maneuver LT”, a Lithuanian-based European money institution, is to be opened for the first time to the public at White Nights Berlin expo. Called Genome, the smart ecosystem aims to offer something unprecedented: a seamless experience unifying business and personal finance. 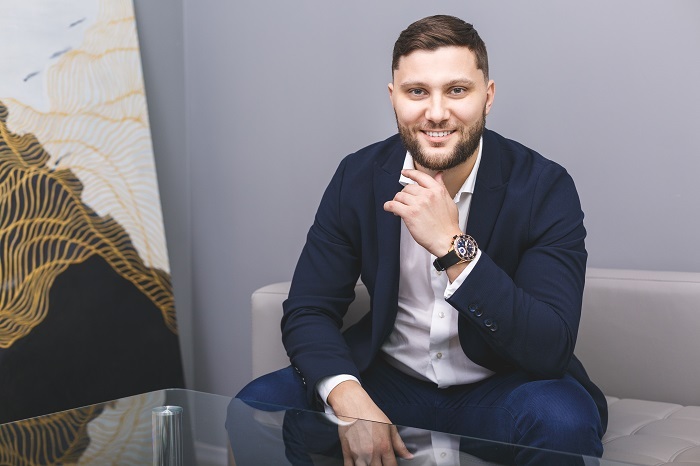 Artem Tymoshenko, founder, says: “Anyone who has lived and worked in several countries, anyone for whom business is really personal has experienced how fragmented and broken the world of finance is. Genome is the world’s first all-in-one finance ecosystem for online businesses to open and run merchant and settlement accounts as well as personal accounts together in one place. Inspired by online businesses, this banking-as-a-service product offers a unique blend of fintech services in one. competitively priced bill pay; among other services and features. Targeting mostly online merchants, Genome provides a solution for anyone who runs a web business and juggles both business and personal finances across country borders. The service is set to expand further in 2019, releasing a mobile app and adding physical Visa and Mastercard issuance in the second half of the year. Genome is exhibiting and the founding team will be happy to meet White Nights attendees, media and online business owners from every online business. Visitors will be treated with a surprise treat and will be eligible for a Genome credit raffle at the Booth S28 on both 12 and 13 February 2019. Genome is the online finance ecosystem that helps merchants to accomplish everything related to payments online. Open Merchant Accounts and IBAN settlement bank accounts fully online in under 48 hours. No unnecessary paperwork, no waiting – just a clear and transparent online service with the freedom to accept online payments, transfer money to any account in any currency at rates much more reasonable than those offered by banks and other payment processors. We don't directly do good in our fintech-verse, but we push the world towards something better. If decision makers want to learn, they should put in the effort. Or pass the controls to people who do.